December is here with us. I love December; so many freebies, offers and discounts, lots of love shown and given…The year is winding down, the sun finally setting on twelve months of ups and downs, losses and wins, joys and sorrows. This is the month of leisure and pleasure, tours and travels. It is peak season for weddings, graduation parties, end-of-year work parties, family reunions, family vacations and many other forms of festivities. Well a wedding is not complete without a honeymoon, which is not complete without a beautiful travel destination. A couple of graduates will be lucky enough to be rewarded with a trip to whichever beautiful country for their exceptional performance, an employee of the year will get the opportunity to tour a certain wonder of the world. Families will pack up their bags and go for that vacation they have been planning all year. Whatever it is you have planned for, if it involves air travel, you might want to take a good look and consider going the Emirates Airlines way. Ensuring that you get the most comfort and value for your money before, during and after your flight. Their signature lounges will have you relaxed and energized as you wait to fly. You get to have a taste of amazing cuisines from different parts of the world, spoil yourself with exotic wines and even get spa treatment if you so wish. The airline operates in Boeing 777and Airbus series and Kenya is privileged to have the Airbus A380 plane, which is termed as the future of air travel. It has super modern seats that can be converted into fully flat beds with a mattress and a vanity table and mirror that will help you prepare for the day ahead and arrive feeling refreshed. They also offer chauffeur services to take you to wherever place you wish to go after you have landed at your destination. Dubbed ICE (Information Communication and Entertainment), the entertainment does not stop. It will have you hooked from take-off to touch-down, with a variety of movies and documentaries, games, excellent Wi-Fi if you wish to surf the internet and stay up to date on social media. Using Digital Widescreen, Emirates Airlines offer movies with audio description and closed captions if you’re hearing or visually impaired. Destinations Kenyans are flying to. She recommends Panama City to anyone that wants to have an amazing experience. It is the Dubai of South America. Special consideration is given to families with kids as they offer special mother and baby rooms for changing and feeding the kids. They get to board first, and to shop for kids’ treats duty free. There is non-stop in-flight entertainment for your kids with over 50 Disney favourites, the latest kids TV shows and popular cartoons that feed their imagination. They can also choose from over 100 games to play. You get to capture special moments with our onboard camera. Ask our crew to snap your picture and you can take home a framed photo of your adventures together. Well, there you have it. 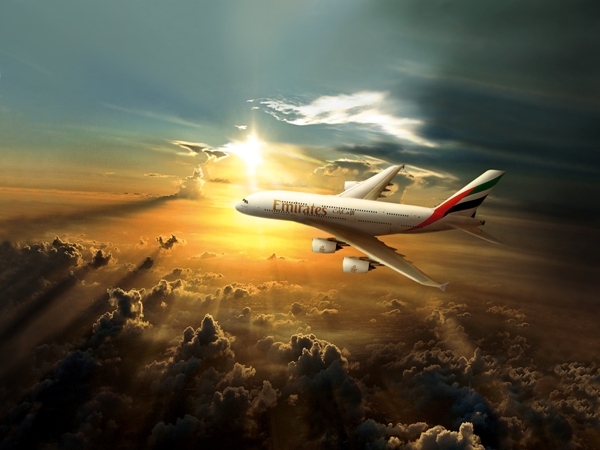 Book your flight today with Emirates Airlines and get the ultimate experience. After all, they are not an airline brand, they are a lifestyle. Here Are The Winners Of The Safaricom Appwiz ChallengeWhat Makes A Great Woman?